The turkey and stuffing are gone, and the winter holidays are around the corner. For most folks, the holidays bring happiness and cheer. Extra gaiety is seen in office parties and large family-gatherings. Secret Santas are chosen and Hanukkah candles are lit, but for many survivors of brain injury, the holidays are a stressful time, leaving them anxiety-ridden, exhausted, and distressed. Survivors of brain injury may become melancholy as they remember their lost lives – lives in which they weren’t impaired, lives in which their freedom was at their fingertips, lives in which they were independent and didn’t need to rely on others for their every need. This supposedly joyous time may not be so happy for many folks. The holiday stress can be exaggerated for those living with a brain injury, compounding a survivor’s unhappiness and sometimes causing severe depression. 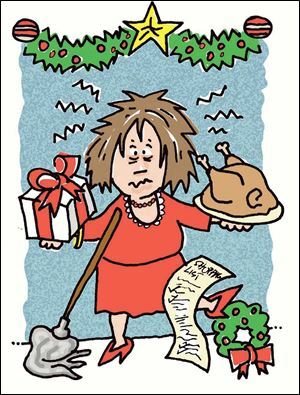 The hustle and bustle of the holidays can definitely add disorganization and chaos to anyone’s life, but for those who live on a daily basis with the confusion that often accompanies brain injury, the holiday season can be an utter nightmare. The holidays bring many additional activities, like baking dozens and dozens of holiday cookies to give as gifts to family and friends. Entertaining friends might be fun, but decorating the house and preparing food and drinks for guests can be a daunting task. Entertaining out-of-town guests complicates that undertaking even further – arranging sleeping areas with sheets and pillows and extra blankets and towels. Then shopping – ah, shopping – braving the malls with their wide-eyed, crazed shoppers and their cacophonous noise is not for the faint of heart. The uncertainty of whether Great Aunt Sally will love the little pink unicorn that you found in the bargain basement of Marky’s is tying up your brain in knots. For those who live in colder climes, weather may play a role, as blizzards and freezing rain make it difficult to leave the house and add the pressure of when to get the shopping done. The cold, gray skies can make life seem dreary, altering even the best of temperaments. But the holidays can be conquered, and a survivor can have fun if he or she tones it down a little and takes the holidays in itty-bitty steps. To help ease their holiday doldrums, survivors of brain injury should try staying in the present or looking to the future. Survivors shouldn’t compare themselves and the current holiday to holidays from the past. It’s normal to feel the loss of one’s “old” self. It’s normal for a survivor to feel sadness at what once was and now is no longer. But if this is the “new normal,” then the survivor needs to make the new normal a better place to be. Perhaps the six-foot tree that a survivor trekked out into the woods to cut down can be replaced by a three-foot artificial tree – something that can be assembled in less than an hour, instead of enduring the stress of an all-afternoon trip. Maybe the family-gathering to eat latkes must be limited to the immediate family to minimize the chaos that a large gathering might cause. The holiday season is a good time for a survivor of brain injury to pull back. The survivor can make the holidays simpler and avoid their commercialism. So how does a survivor of brain injury still accomplish these goals? Here are some suggestions. Make a list of the things you want to do, and prioritize. Choose to do only one activity or job each day. Decide when you are best able to do the job. Are you better in the early morning hours – when you have more energy? Or are you like me – alive at night? That’s when I get more done. Everyone’s different, and only you will know what works best for you. Don’t set your expectations too high. That is a guarantee for failure. Instead of baking ten dozen cookies in one afternoon, spread out the job by allowing several afternoons to accomplish the task. Or better still, make a smaller portion of the cookies. Set your sights lower. By planning and pacing yourself, you can avoid becoming overwhelmed, depressed, or simply exhausted. Instead of wrapping a present the traditional way with giftwrap and ribbons, pop the gift into a pre-decorated box or a gift bag and stuff some colored tissue paper around it. It will be lovely, and it is so much easier! Do you really need to have a twenty-three-pound turkey with stuffing and all the trimmings? Probably not! A simpler meal will taste just as good and will be enjoyed by all simply because you are spending precious time together. Usually family and friends like to offer help, especially during the holidays. Let them! Let them help shop for or wrap presents. Let them help cook dinner or bake cookies. It will be a lot more fun and actually make the holiday a more joyous occasion. Try something different. Plan a new routine or create a new ritual. With some small steps, life during the holidays can be tolerable – maybe even fun. You just have to open your mind, look at life differently, and begin to make “new” traditions. 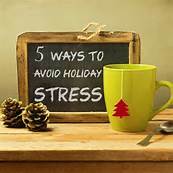 “Holidays – Less Stress – More Fun,” on “Another Fork in the Road,” on the Brain Injury Radio Network. This article was also published on the following onli magazines and journals.